Northwest VEG is a 501(c)(3) non-profit organization based in the Portland, OR and Vancouver, WA area. Founded in 2003, we are dedicated to bringing awareness to the power of a plant-based, vegan lifestyle and helping support people in their transition toward making healthier, more sustainable & compassionate food choices. Adventist Health facilities have promoted the incredible power of natural health principles in preventing and helping treating disease since the mid-1860's. 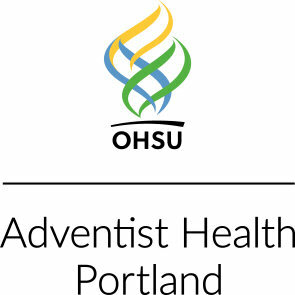 Today, Adventist Health Portland merges that belief with a state-of-the-art, 302-bed acute care hospital and medical clinics which offer a full range of inpatient, outpatient and emergency services. Acute Care Education is organized as a professional nursing education group with a single focus devoted to providing continuing nursing education to registered nurses and advanced practice registered nurses. We are fully supported by the fees we charge through attendee and exhibitor registration at our educational activities, sponsorship support, and through co-provider fees. We are not supported by a parent corporation, health system, or professional organization. We are a privately held small business that is 100% woman, veteran owned. The American College of Lifestyle Medicine provides leadership and assistance, facilitating lifestyle medicine clinicians' pursuits of continuing medical education, practice knowledge, leadership skills, and research information needed to provide quality patient care and best counsel patients with respect to lifestyle-related diseases. The Complete Health Improvement Program (CHIP), is a lifestyle enrichment program designed to reduce disease risk factors through the adoption of better health habits and appropriate lifestyle modifications. The goal is to lower blood cholesterol, hypertension, and blood sugar levels and reduce excess weight. This is done by improving dietary choices, enhancing daily exercise, increasing support systems and decreasing stress, thus aiding in preventing and reversing disease. Legacy Health is the largest nonprofit, locally owned health system in the Portland-Vancouver area. Within our six hospitals, more than 50 clinics, lab, research and hospice facilities, our medical experts provide compassionate and complete care for all - from routine medical care to advanced treatment, surgery and emergency services. Lifestyle Medicine Group was founded by John E. Gobble in 1999, with a mission is reverse chronic disease through preventive medicine as part of the health care system. Lifestyle Medicine Group partners with other healthcare providers and with employers to provide classes on diabetes prevention and on the prevention of other chronic diseases. NutritionFacts.org is a strictly non-commercial, science-based public service provided by Dr. Michael Greger, providing free updates on the latest in nutrition research via bite-sized videos. There are more than a thousand videos on nearly every aspect of healthy eating, with new videos and articles uploaded every day. Incorporated as a 501c3 nonprofit charity, NutritionFacts.org now relies on individual donors to keep the site alive. Oregon Nurses Association (ONA) was founded in 1904 as the professional association for nurses in Oregon. A non-profit association, ONA is a constituent member of the American Nurses Association. Providence Health & Services is a not-for-profit Catholic health care ministry providing services including hospitals, physician clinics, senior services, supportive housing and many other health and educational services across Alaska, California, Montana, Oregon and Washington. Providence Health & Services continues a tradition of caring, especially for those who are poor and vulnerable, that the Sisters of Providence began 160 years ago. The University of Portland School of Nursing educates nurse leaders of the future through innovative learning and engagement that enriches the culture of healthcare to promote health and wellness of the population. Faculty, staff, and students are accountable for fostering a spirit of discovery and creating an environment that cultivates lifelong learning. University of Western States was founded in 1904 as a chiropractic college, and has evolved into a university offering a variety of health and wellness degrees. We have been a leader in health sciences education through integrated, evidence-informed curricula grounded in our dedication to the most up-to-date health care research and practices. The Vegetarian Nutrition Dietetic Practice Group (VN DPG) of the Academy of Nutrition and Dietetics strives to empower members to be the leading authority on evidence-based vegetarian nutrition for food and nutrition professionals, health care practitioners and the public. VN DPG's vision is to optimize global health and well-being by vreating and disseminating vegetarian nutrition educational materials, supporting cutting edge research, and developing influential public policy. WellSource pioneered the concept of computer-assisted wellness. Today, more than 30 years later, our company continues to offer innovative products that improve lives and contribute to a healthy bottom line. It's no accident that Wellsource continues to be a premier provider of computerized health assessments and interventions.